David Krut Projects is pleased to present No Fusion– a solo exhibition by Stephen Hobbs. The exhibition is presented in progress; with additional exhibits, a book launch and a talk taking place during the run of the show. 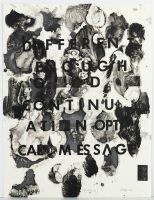 The combination of letterpress prints, monotypes, artist books and sculpture, by Hobbs, is informed by his recent lecture tours in the USA, 2015 and 2016 respectively. 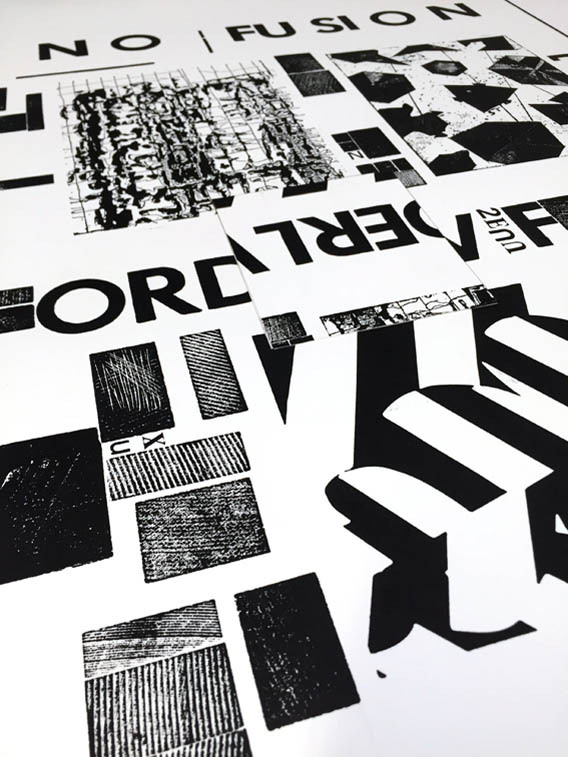 Following the tours and building on his new technical insights, Hobbs began collaborating with David Krut Workshop (DKW) on a series of letterpress prints which were specifically informed by his residency at Salt & Cedar, Eastern Market, Detroit, in 2015; and in 2016, at the Centre for Contemporary Printmaking in New Haven, Connecticut. 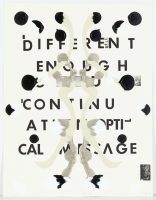 On both occasions, Hobbs’ ongoing fascination with optical interplay and visual disruption was explored through layering techniques that aimed to challenge a singular reading of the prints. 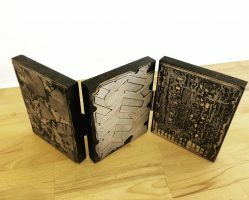 The immersive nature of the printmaking workshops in Detroit and Connecticut, coupled with the knowledge and skill of the master printers, enabled an exploration of the materiality of Letterpress printing, for Hobbs; akin to the logics of building construction. 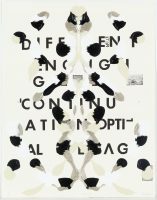 Equally, the chance qualities of monotype printing were investigated through abstract ink washes, which generated unique backgrounds to interface with new layers of mark making and letterpress type-setting. For Hobbs, the juxtaposition of abstraction with recognisable form presents viewers with contemplative and speculative notions; to constantly question constructs of one’s environment -physically, architecturally, and personally. 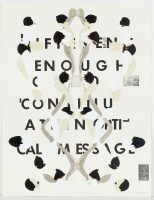 The artist’s openness to different moments developing from the process of creating the prints featured in No Fusion has allowed for a structured evolution of the works that drift from and return to an initial idea. 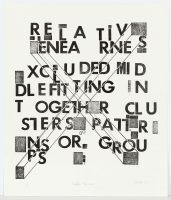 For example, after working with the text in his letterpress prints, Hobbs’ fascination with the packing material used as spacers between the letters led to printing from the packing material itself, simultaneously an honouring of the medium and new graphic experiment. 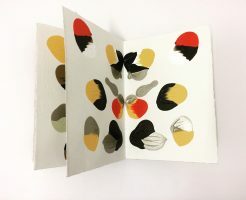 As with all Hobbs’ printmaking, the works in No Fusion are catalysts for complimentary sculpture, assemblage, books and book- like forms. 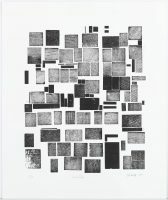 Certain works are as much an expression of the internal geometry of Hobbs’ Relative Nearness drawing elements as they are a reflection on his lino cut Extruded Buildings, 2013. 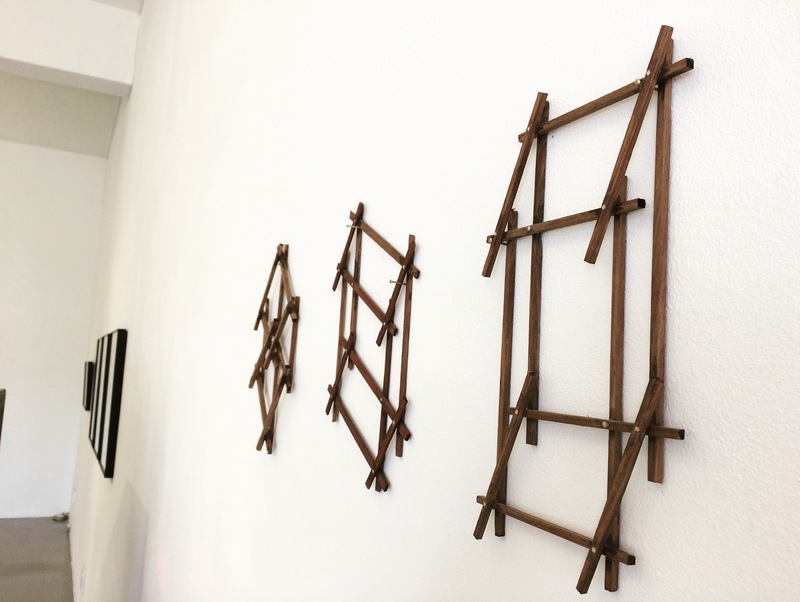 The Relative Nearness Series is considered an extension of an installation at David Krut Projects at Arts on Main, in 2016, using rectangular steel rod constructions, extruded from the gallery walls, to suggest a cityscape. Of Hobbs’ various institutional engagements in 2015 and 2016, his critiques at the Sam Fox School of Design & Visual Arts Washington University in St. Louis, and presentation and workshop at the Smithsonian Institution National Museum of African Art, Washington, DC prompted him to reflect: “In and amongst all the travelling, talks and printmaking, the real work was developing and generating new insights on an important subject. I was there to provoke a much-needed conversation on the role that art plays in urban change”. No Fusion is an extension of this conversation, presenting Hobbs’ particular visual language in relation to his personal experiences of place making and urban change. 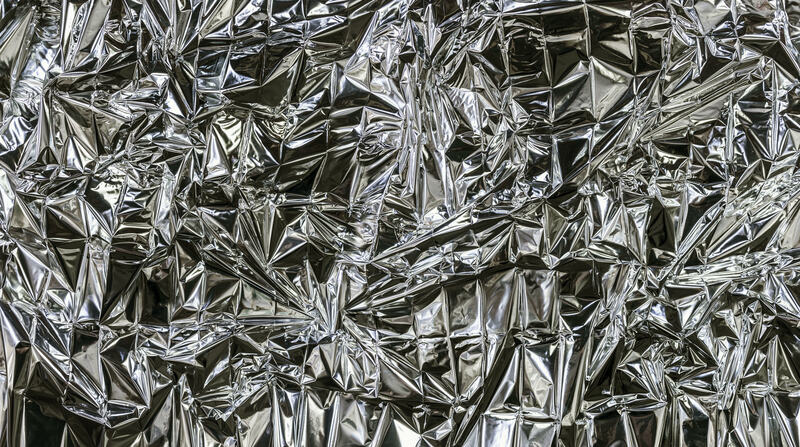 No Fusion opens at David Krut Projects 142A Jan Smuts Avenue, Parkwood on Thursday 4th May at 18h00.